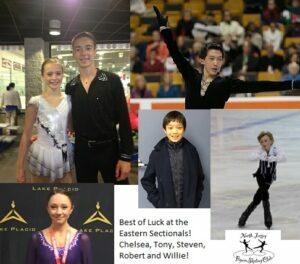 Congratulations Robert and Steven & Paige for qualifying for Nationals! Terrific skating by Chelsea and Willie! We are so PROUD of you. Tony: best wishes for a speedy recovery from your injury!